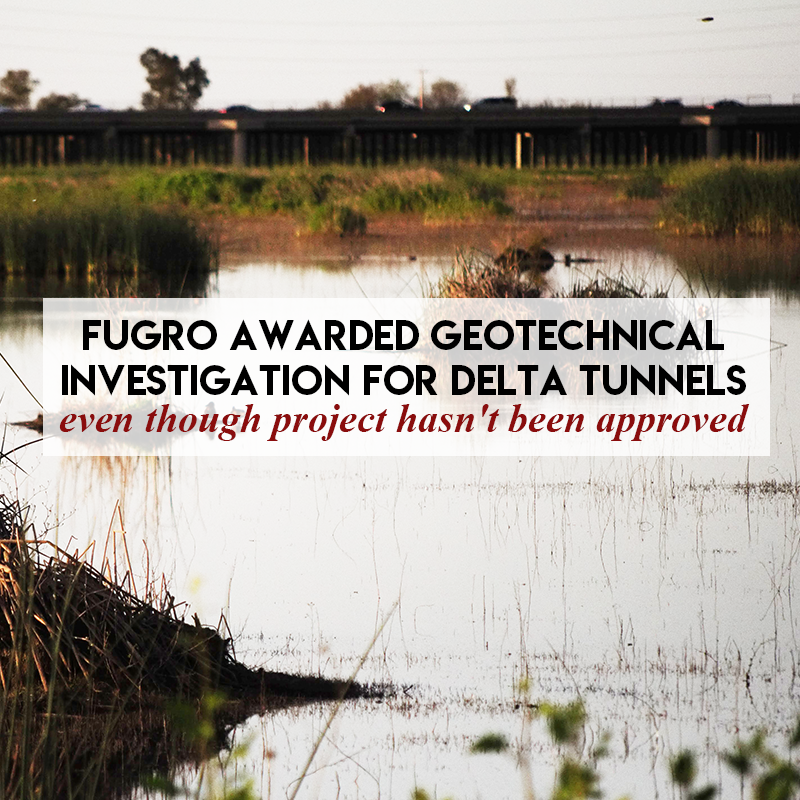 Following the news that the Delta Conveyance Design and Construction Authority (DCA) had selected the Jacobs company to be the engineering design manager for the Delta Tunnels, the DCA awarded Fugro a contract for a major geotechnical investigation to support the California WaterFix project. The five-year contract for Fugro and its partners is valued at $75 million. The Fugro team for the contract includes five subconsultants as well as over 35 specialty sub-contractors, according to the release. “The project involves constructing conveyance facilities which include three river water intakes, twin 30-mile long, 12m-diameter deep main tunnels, a pumping plant and canals to deliver water from the Sacramento River to existing infrastructure, including pumping plants located 42 miles away in the Southern end of the Delta,” Fugro said. Fugro said it will deliver an “integrated site characterisation programme and engineering support to optimise design and minimise construction risks”. This programme comprises geological assessment, geophysics, drilling, sampling and laboratory testing. The Delta Tunnels, a controversial project promoted relentlessly by former Governor Jerry Brown that failed to obtain the necessary permits before Brown left office on January 7, is opposed by a broad coalition of fishing groups, Indian Tribes, environmental justice advocates, Delta farmers, Delta residents, conservation groups, cities, counties, water districts, cities and counties and elected officials. Tunnels opponents are trying to convince Governor Gavin Newson, who has said he would like to scale the project down to one tunnel, to drop the project, whether one or two tunnels, once and for all. 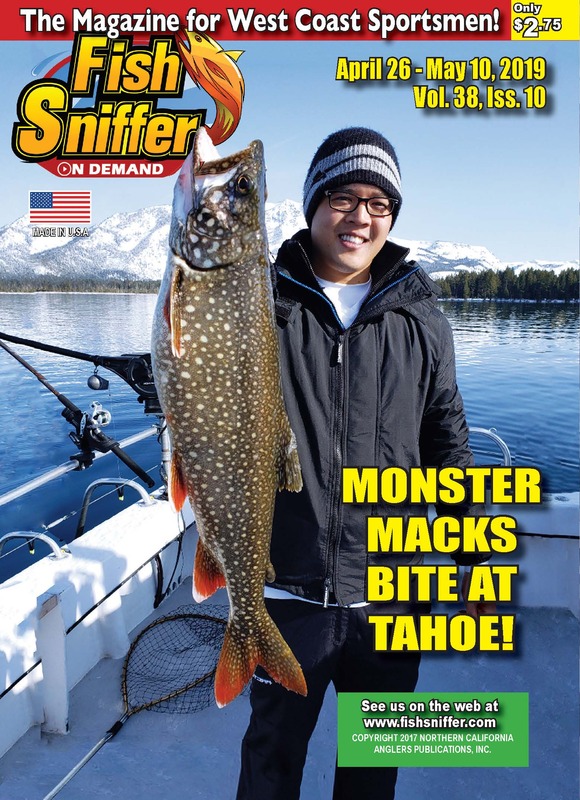 Opponents say the project, by diverting water from the Sacramento River through the tunnels to the federal and state water pumping facilities in the South Delta before it reaches the estuary, would hasten the extinction of Sacramento River winter and spring-run Chinook salmon, Central Valley steelhead, Delta and longfin smelt, green sturgeon and other fish species, as well as imperiling the salmon and steelhead populations on the Trinity and Klamath rivers. In other Fugro news, the corporation reported four of its employees working at the dam location are missing after a dam collapsed at a mining site near Brumadinho in the Minas Gerais state in South-Eastern Brazil. “Fugro has five colleagues working at the dam location, of which at this moment four are still unaccounted for. One colleague was rescued and is in a local hospital with minor injuries. Fugro is working with local authorities to get more information on the well-being of its colleagues and is providing full support to the families of the missing persons,” the corporation said.